And it did. Monserrat’s plaster is really there. (Other notes include pink grapefruit, green leaves, carrot seed, osmanthus, jasmine and white musk.) So, what does a fragrance that riffs on wet plaster smell like? To me, the best description would be that it smells like standing in a damp monastery on a June afternoon with butterflies dipping into the bright green shrubs above the flower beds — while you brush your teeth. Above Monserrat’s plaster wafts a bracing green-citrus-floral bouquet tight and fresh enough to remind me of toothpaste, even though mint isn’t listed in its notes. Monserrat’s freshness is akin to a cologne, but its texture is thicker and warmer and a little bit sweeter. Especially at first, Monserrat smells of pink grapefruit and spearmint, with the mint taking over, then blending with and finally being absorbed by tart budding leaves and subtle, apricot-inflected flowers. Monserrat holds its body well as it wears, and it wears most of the day on me. It stays fresh green, tart and opaque from my morning coffee until dinner. I’m used to thinking of a springtime fragrance as something sheer and floral, like Agonist Floralust, the fragrance I reviewed last week; grand and intoxicating, like Guerlain Chamade; or a retro green chypre like Estée Lauder Private Collection (to name just one). Monserrat fills a category I hadn't thought about yet. It’s like the wool challis scarf you wind around your neck to take the chill off a spring rain. Yes, winter is over, but it’s not quite throw-open-the-windows weather yet. Bruno Fazzolari Monserrat is $110 for 30 ml. For information on where to buy it, see Bruno Fazzolari under Perfume Houses. 1. I admit to being shamefully susceptible to descriptions. Robin once compared L’Artisan Parfumeur Nuit de Tubéreuse to Juicy Fruit gum. Once I smelled it in the perfume, I could never unsmell it. 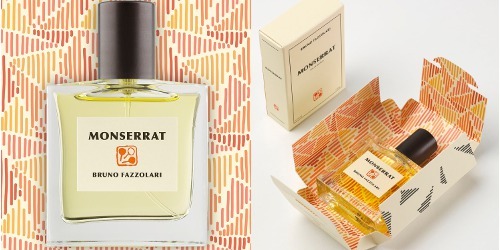 This sounds really interesting, I haven’t had a chance to try any perfumes by Bruno Fazzalari yet, I’m not sure if they are stocked in London, however I shall find out as there are a few that sound very tempting, and I’ll add this one to the list! That’s one of the problems with these smaller brands–sometimes they’re hard to find, and you don’t always feel like ordering samples. If you do find Fazzolari scents out there, be sure to try Lampblack and and Au Dela. I have Monserrat, Au Dela (the older one and the newer version) and Room (can’t think of the exact number). My favorite is the newer version of Au Dela. Lampblack is good too but I only have a sample of that one. You are a fan! I’m glad, too, to hear that the new version of Au Dela is so good. thanks for the recs, will do. Our first home was built in 1923 and had plastered walls. We bought it from the estate of the original owners. And everything in that house was original. Dear sweet hubby spent way too many hours patching and painting those walls! Not sure how I feel about smelling like plaster. ???? Would love to smell this whole line at some point. I know exactly what you mean about undoing a scent association. As I was busy sniffing away, a lovely SA asked me what I thought about Galop. When I said it wasn’t love, she gave me a scent association that can’t be undone…. Given the love for Galop here on NST, I won’t share it. ???? Your first home sounds dreamy! I love old houses. And now I’m dying to know about the Galop smell association, but I appreciate your discretion. I was with you in the damp monastery – until the toothpaste turned up ! I haven’t seen anyone else make this connection, though, so I might be an outlier (hopefully). Thanks for reviewing this, Angela! I ordered a set of Bruno Fazzolari samples a while back but was so taken with Lampblack and Au Dela that I did not spend much time with Monserrat. It sounds like a good one for spring. FYI, I just got samples of BF Five, Narcisse Au Dela, and the new one, Feu Secret, so I am ready to immerse myself in this brand for several days. I’d love to know what you think of the samples! I haven’t spent much time with the brand, but everything I’ve smelled so far has been interesting. The Feu Secret is really good. That one and Au Dela Narcisse are my favorite Bruno Fazzolari fragrances. I just tried Feu Secret less than an hour ago! The iris is so nice. “it smells like standing in a damp monastery on a June afternoon with butterflies dipping into the bright green shrubs above the flower beds — while you brush your teeth.” – OMG, just adored that description! I have never tried anything from this line, but I am so wanting to so I can experience this as well. Adding it to my list! I’m glad you enjoyed the description! I’ll be interested to hear if your description matched mine! I also loved your description. I really liked Montserrat, and that wet plaster note really does add a nice cool texture to it. Nice for summer! I definitely felt it would be a good one for warm weather! Yikes! Shipping is so expensive. I bet he would find lots of fans overseas if he could get his fragrances there less expensively.